The organizers behind the 2013 Celebration Europe II Collecting Track panels put together a very special and extremely limited Gold Edition three pack for contributors to the program. 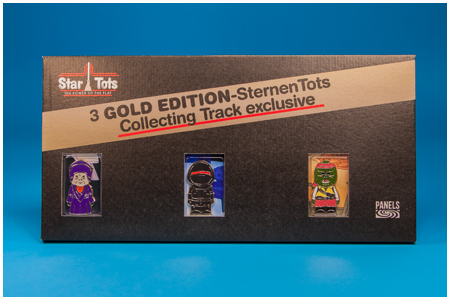 The 3 Gold Edition - Sternen Tots Collecting Track exclusive set featured gold edition Imperial Dignitary, Imperial Gunner, and Barada Star Tots in a printed package designed after the German Die Kraft Der Macht three pack from 1985. The individual card backs for all three Star Tots is identical to the panel premiums made available to attendees. 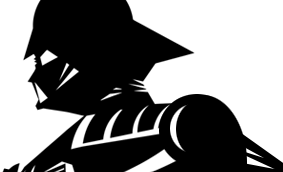 Only the outer box and the three figures are different.